PARIS – Yes, Stimulus Theory – the idea that cheap credit and EZ money will make us richer – is a fraud. But that doesn’t make it unpopular. Au contraire… it is a classic federal program: like the war on drugs, or the war on terror… the more it fails, the more it succeeds. That is, the more stimulus drags the economy down… the more people want the feds to “do something” to fix it. And what can they do? Stimulate! 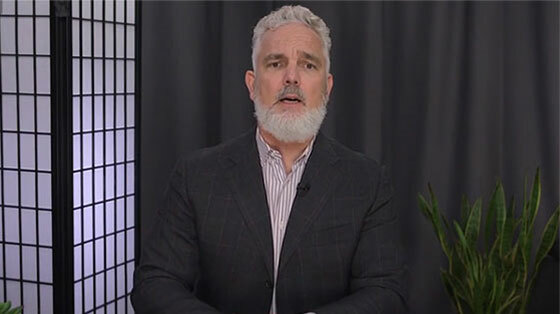 “2019 could hugely impact your retirement,” says the man who predicted the dot-com crash, housing bust, 2009 stock bottom and bitcoin collapse. …the Fed should have kept interest rates lower for longer after the 2008 recession, to deliver a significantly stronger dose of economic stimulus… it should show a little less fear of inflation the next time the economy needs its help. How many bad ideas can you pack into a single sentence? We don’t know… The NYT deserves credit for trying. The ol’ Gray Lady thinks it knows how to run an economy, via monetary policy… that the Fed didn’t stimulate enough ($3.6 trillion was too little! )… that it knows how much inflation is just the right amount (2% or more)… and that the Fed actually helps the economy (where’s the evidence?). But it’s nothing more than a colossal swindle. As we saw yesterday, stimulus hasn’t worked for Trump. He cut taxes at a cost of $180 billion last year alone. It looks like he got a temporary boost in spending last year, which ended in the last quarter of 2018. Consumer spending, employment, GDP – all are turning down. And federal debt is now increasing about twice the rate of GDP. We could look back at the whole post-crisis period of the last 10 years and see the same thing – huge amounts of stimulus, little real growth. The Fed put in $3.6 trillion of fake new money. And the federal government ran some $11 trillion in deficits. Result: The greatest stimulus of all time produced the weakest recovery on record. U.S. GDP rose from $15 trillion in 2008 to $20 trillion in 2018, while federal debt increased from $9 trillion in 2008 to $21 trillion 10 years later – about two times as fast. One that could be over just a few short months from now. And retire incredibly wealthy in less than a year. We’ve explained why it doesn’t work. In short, giving away money doesn’t inspire people to work harder. You give money to the baker and he stops baking. You give money to the teacher, and he takes earlier retirement. You give money to the entrepreneur – in the form of loans at negative real rates – and he begins to think about how he can use that free money for stock buybacks, mergers, acquisitions, special bonuses, and other quick tricks. Of course, the feds don’t have any real money to give away. They are running trillion-dollar deficits, remember. So, they stimulate with fake money. And this creates a whole new set of perverse consequences. When the feds tax away real money, they are taking money from someone who earned it and giving it to someone else. Simple enough. One guy loses; another wins. The taxpayer may have been planning to buy a new pickup truck. Instead, someone else buys it with his money. But when the feds give out fake money – or lend it out at artificially low rates – who wins? Who loses? It’s harder to see. As we’ve seen, the stimulus money doesn’t magically cause new cars or new houses to come into existence. All that has come into existence is new money, which then competes with the old money for goods and services. Result? Inflation. Prices rise, stealing real wealth away from taxpayers and consumers alike. Have you heard about this HUGE Trump move yet? The President has just included the sweetest “tax gift” EVER for Americans. He slashed up to 25% in taxes on a special investment most Americans have never heard of. An investment that returned 3.5 times more than the S&P 500 since 1972… And paid 6 times more than dividend stocks. And today, it takes the typical working man twice as long to earn the money for a pickup truck as it did 40 years ago. Same thing for a house. The average house may be bigger and more comfortable, but it’s also more expensive, costing the average workman twice as much time as before. We can also look at what it costs a working man to enter the ranks of the capitalists. That is, how many hours would he have to work to buy, say, the 30 Dow stocks? There, too, stimulus has robbed the working stiff and rewarded the rich. The feds put out more fake money; but the real values of America’s businesses don’t go up just because the feds put out billions in counterfeit money. The only thing that went up was their prices. In 1978, the average hourly wage was about $7. Now, it’s $23… or a little more than 3 times as much. But the Dow in 1978 was around 800. Now, it’s over 26,000. So, 40 years ago, in less than three weeks’ work, an ordinary wage slave could become a proud owner of America’s leading companies. Today, he has to work for nearly 30 weeks – 10 times as much – for the same dubious pleasure. And guess what? AOC and Bernie Sanders are on board, too. They all want MORE STIMULUS. So watch out. More stimulus is what we’re going to get. Good and hard. Ridesharing company Lyft (LYFT) just had its initial public offering (IPO) last Friday. And we know investors were scrambling to buy shares in Lyft by looking at where the stock was priced. When demand for the IPO is expected to be high, the company can set a higher price for its stock. And when demand for the IPO is expected to be low, the company must set a lower price for its stock. 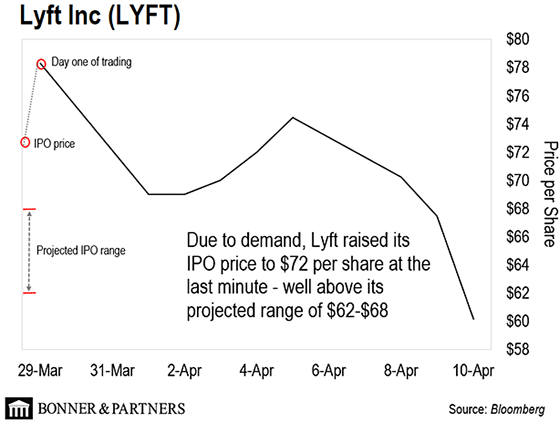 In mid-March, Lyft said it would price its IPO between $62 and $68 per share. But there was so much demand for the stock that the company bumped the price up to $72 per share last Thursday – less than 24 hours before the IPO closed. The IPO sold out at the higher price, raising $2.3 billion for Lyft… Which is now an $18 billion company. This tells us that investors were scrambling to get access to Lyft’s stock. Clearly, the market is hungry for bleeding-edge tech companies. It’s understandable. As I’ve been telling my readers, the pace of new tech IPOs over the past 10 years has been underwhelming. Thanks to a readily available supply of private capital coming from VC’s, private equity, and even financial institutions, these companies stayed private for far longer than is normal. This blocked average investors from staking a claim in the most exciting technology companies today. We will see a flood of incredible IPOs this year. Uber, Lyft’s top competitor, will announce its own IPO within the next month or two. And high-tech companies like Palantir… Pinterest… Slack… Zoom… and many others are right behind. In fact, there are hundreds of private “digital first” tech companies ready to IPO in the near future. These are companies that were born in the ashes of the 2001 dot-com bust… And remained private too long because it became harder for them to raise capital. 2019 will be a banner year for tech IPOs. And that will give investors a chance to invest in the most exciting companies on the planet. P.S. 2019 will be a banner year for tech companies. The very best will soar by 10x or more, in the years ahead. And if I had to recommend one technology investment this year, it’d be this one. But fair warning, this opportunity won’t be for everyone. If you can’t handle volatility or big price spikes overnight, then maybe sit this one out. 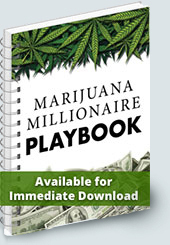 But if you’re prepared to take on some risk to potentially make a small fortune, then go right here. Is This the Calm Before the Stock Market Storm? Today, we share excerpts from a letter one dear reader penned to our editor… Are we headed towards a “life without our current government”? I believe that thinkers in the U.S. are currently wrestling with the concept of life without our current government. I believe that they are formulating ideas and testing possible solutions to create a government that adheres more closely to what was originally envisioned in our original Constitution and improving on the new government’s ability to maintain those principles. And I believe that when the collapse comes, thinkers like you will have crafted the foundations for something better. Now, he’s pounding the table on a new idea… One that’s earned him the nickname of “America’s Cockiest Investor.” Read on here for all the details.